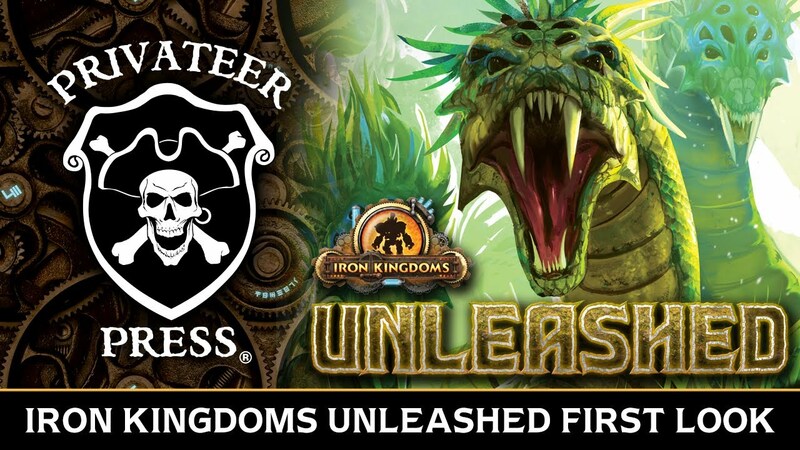 Update: Even more details were released about Iron Kingdoms Unleashed today over on the Privateer Press site. Lots more details about the starter box, be sure to check it out after reading this. So, I can’t believe I’m just now still playing catch up with some of the stuff that was unveiled at Gencon this year. I went to Gencon this year. I must be a bad gamer. Anyway, many of you know I’m a huge fan of the Iron Kingdoms universe and there are great things headed to the RPG space in the form of Iron Kingdoms Unleashed. Just in case you don’t know what it is just yet, it’s a new standalone RPG set in the wilds of the Iron Kingdoms universe but everything about it is fully compatible with the latest Full Metal Fantasy IKRPG. The big difference here? 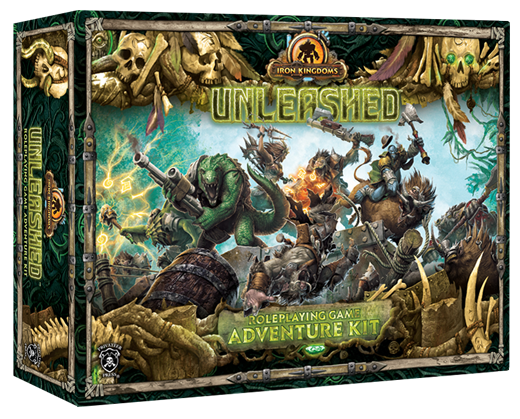 You’ll be dealing playing as alligator people, pygmy trolls and more as you explore untamed wilds and all its fauna that want to tear your head off. Here, I’ll let this video do some of the explaining for me. The best part here is, there’s going to be a “starter box” of sorts, which should hopefully begin to make the IKRPG space a bit more accessible for folks who aren’t familiar with it. If you’re already into Warmachine or Hordes, having some appropriate minis and scenery already laying around makes jumping a lot easier. However, if you’re not, I think this can put some people off. Using D&D minis to play something like IKRPG would just feel wrong. Luckily, this starter box is going to contain maps, minis, and everything you need to jump in and get playing including a condensed version of the rules, a full 32 page adventure, 4 pregen characters, map tiles & markers, and over a dozen minis. Looks like Privateer is going to be unveiling more info on IKU every Friday on their website. I’ll try and keep everyone posted and definitely do a full review and unboxing once everything is getting ready to launch. I know personally that this is going to shake things up for IKRPG players and add a lot of variety, not to mention hopefully getting more people into playing the game. That’s it for today, check back soon for some more news and reviews. Until then, game excellently with one another! Yes, the words “meat silencer” are used in this video. Lots more details and cool bits in last week’s Unleashed segment so go check it out!